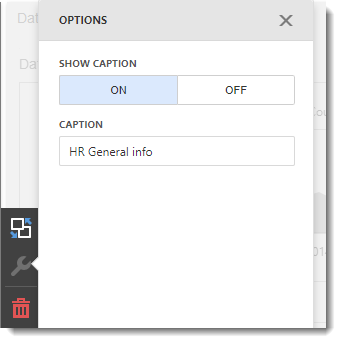 How do I create Groups in an IntelliFront BI Dashboard? This article will help you to create a Group dashboard. 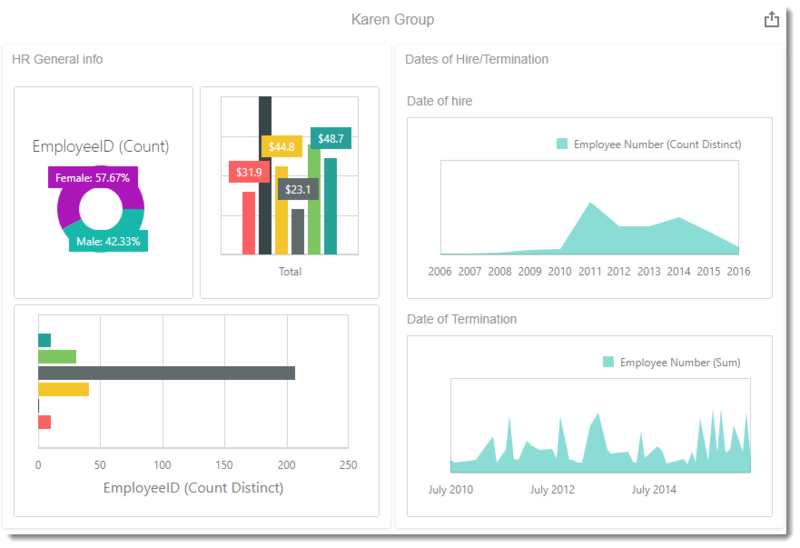 A Group is ideal to combine dashboards visuals. How many employees by department does the company have? What are the hiring date of the employees? What are the dates of termination? To create this visual, begin by selecting Group. 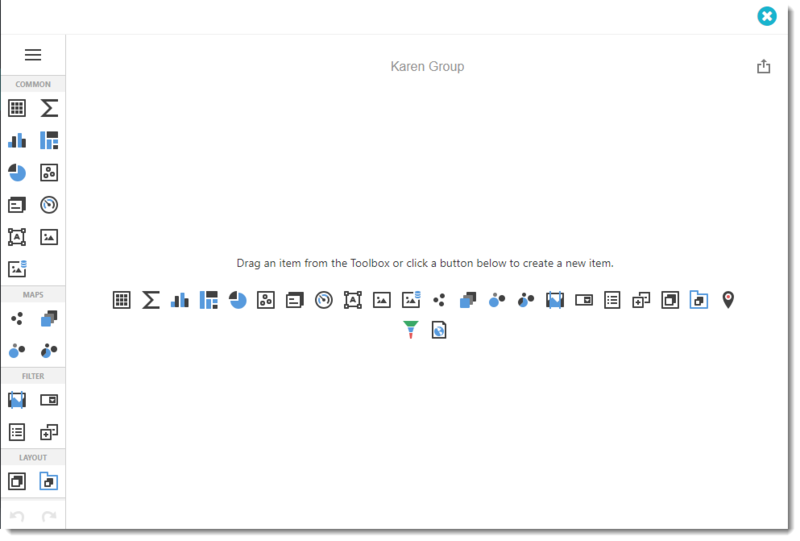 The Group visual is to layout dashboards items by categories. After you selected Group you may add as many dashboards visual as you like. 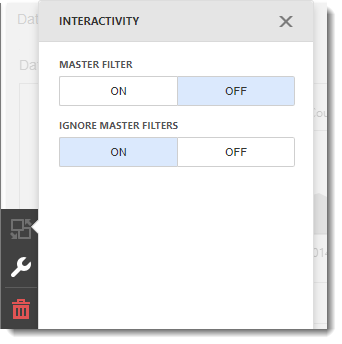 Master Filter: This options allows you to use any data aware item ad a filter for other dashboard items.